I've got a new school bag. I put my red drink bottle and my red lunch box in my school bag. 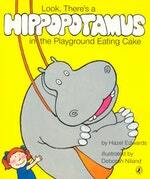 My hippopotamus is packing his school bag too. The little girl from There's a Hippopotamus on Our Roof Eating Cake is starting her first day of school!She takes her hippopotamus with her and together they face those first-day-at-school experiences – meeting your teacher, eating , lunch in the playground and making new friends. This is a wonderful read-aloud book full of fun and reassurance for young people starting school. 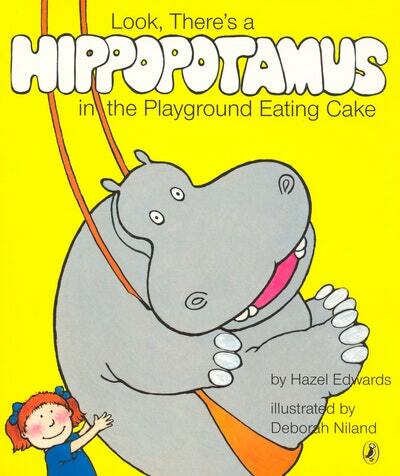 Love Look, There's a Hippopotamus in the Playground Eating Cake? Subscribe to Read More to find out about similar books.